The introduction to the Holy Spirit Ministry of Alaska. This Christ Centered Gospel driven ministry is provided by Rev. Dr. Lawler an ordained non-denominational Christian minister and a Chaplain (MAJ) member of the United States Corps of Chaplains. This web site is a gateway to believers in the world. There is no church building to support or staff to pay. Click on the page links at the left to see further information about these services. The Holy Spirit Ministry of Alaska is a Gospel Based Discipleship and Christian Ministry offering spiritual support for everyone in need. May all of us be blessed today and always. Psalms 118:8 The very heart of the Bible!!!! 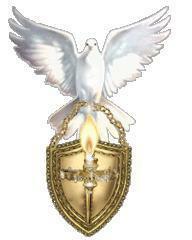 Contact the Holy Spirit Ministry of Alaska for your Baptismal, Wedding, Funeral, or other spiritual needs. Pastoral Counseling also available.